Another indispensable compendium of the great French experimental artist's musical opera. 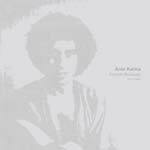 With this four-LP box set of fully unreleased archival materials, Ariel Kalma ideally retraces the map of his own path and spiritual journey during the '70s. Some of music contained in Sarasvati Planet Ariel, Planet Air, Ascend Descend, and Astral Cathedral are born as sound environments for group therapy sessions that carrying healing, trance, and relaxation. The occult and arcane music of Kalma awakens consciousness, expands chakras, sculpts memory indelibly, appears to encompass all the emotional aspects of the universe, and brings its listeners back to the archetypal moments of creation. What is most impressive is the variety of atmospheric stimuli, the rich source of inspiration and compositional mastery. The solemn, triumphal and liturgical, meditative and ascending tone of celestial chapel organs and harmonium, the darkness of Farfisa and Yamaha PS-30 lunar and spectral sequences, the exotic oriental breath of circular dances transfigured and dissolving by the specular shapes of the Wasp Synth... everything converges to the purity abyssal of eternity sound. The melodic and harmonic phrases of sax always reveal a deep song, while the solar blow of flute gives elegiac moments of Debussyian flavor as bucolic recalls of fauns from Eden's lost. Listeners will be struck by equinoxial and solstitial lights, in perfect balance between flares and shadows, nature and galactic procession. Kalma's sensitive ear is expressionist, almost a possible scenario for astral architectural utopias of visionaries such as Hablik, Taut, Steiner, or Poelzig; it absorbs and re-reads in a personal way some insights of the cosmic psychedelia of the early '70s such as K. Schulze, Heldon, Tangerine Dream, Popol Vuh. The music is fully unreleased, with only a few tracks being different versions of previously released tracks. After the 1978 exploits of Osmose, Ariel Kalma returned to the studio in 1980 to create the space-ambient library record Interfrequence, reissued here for the first time. In a continuation of Kalma's personal research into the combination of electronic machines with natural sounds and acoustic instrumentation, the French musician plays the master of ceremonies with his synths, but he diverges from the symphonic, galactic suites composed by other standard-bearers like Richard Pinhas and Klaus Schulze. One finds 18 short sound-pictures (a few of them in collaboration with M. Saclays) that emanate an unparalleled variety of ideas and ethno-cultural influences. Kalma's distinctive compositional style always returns in a crescendo of ecstatic emotions reflecting on the hidden and secret aspects of the micro- and macro-cosmos. If in Osmose the sampling from the mother Gaia was more explicit, here nature is investigated not only in terms of pure tones, but also in the dynamics of flows and movements dictated by the frequency of Moogs and organs. Complete with embellishments of hyper-space flutes, trumpets, and clarinets, Interfrequence is yet another chapter in Kalma's personal saga of sound imagery discovery. Before appearing in his works as a musician, Ariel Kalma seems to reveal himself as a philosopher; a solitary explorer of higher and deeper consciousness. Influenced by his relationship with Indian classical music, he transfigures the acoustic-ecstatic dimension typical of the tanpura raga by modulating synths and horns. The work reissued here originally appeared on two different cassettes in 1981 and 1982, but is ideally one unique project. With Musique Pour le Rêve et l'Amour, Kalma infinitely expands the reverberations of the flute, multiplying the nuances with phasing organ loops that recall the beginnings of Terry Riley. The second part, Music for Dream and Love, is structured like a oceanic carpet of aquatic, airy, reflective sounds; an unlimited shore from which there seem to emerge voices of celestial entities. Originally composed between 1981 and 1984 and initially appeared only on tape in two different editions, the proposed material from Ariel Kalma for this work confirms his pantheistic vision of the ethnic sound that had already emerged in 1978 with the masterpiece Osmose (BS 007LP). The deep consciousness of the compositional techniques of Indian ragas is mixed here with embroidered electronic textures on which flute and sax explore the most secret archetypal elements of nature. In this way Kalma offers to the listener a personal idea of sacred music with luminous and oneiric tones but always dialoguing with a higher cosmic conception of things. With a clever use of effects, harmonium, delays and exotic percussions, Kalma becomes the creator of soundscapes from the endless myriad shades. Such a fusion of Western avant-garde and eastern tradition approaches other big names of the international panorama such as Popol Vuh, Angus MacLise or László Hortobágyi. The master comes from the original 1/4'' analog tape from the '80s. Limited edition of 300 copies in a gatefold cover with info. 2017 repress forthcoming. Born and raised in Paris, Ariel Kalma studied electronics, computer science, music and art in Paris, he performed with several bands, then toured the world and visited Europe, Japan, India, Eastern Canada, and parts of the USA. Apart from rhythm & blues, pop and jazz, he acquired assorted experiences in Middle Age French, electro-acoustic, and modal music. All the travels broadened Ariel's musical horizons tremendously; listening to and playing with different styles, people, and instruments, intricate scales, techniques, timing and rhythms. After learning circular breathing from a snake charmer in India, Ariel practiced it on soprano sax (for many sleepless nights) in the basement of a cathedral in New York, when he was not playing upstairs on the large harmonium. Returning to France in late '76, Ariel could include those endless notes into his own long-delay-effect system with which he toured, playing solo concerts. Ariel contributed to the birth of (then) new music genres: minimalist, space, ambient, new age, and electronic. 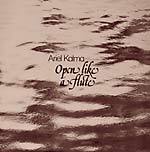 In 1977, Paris, Ariel Kalma was preparing an album of new music. Through an INA connection, Ariel was recommended to Richard Tinti, who had just come back from Borneo (Papua New Guinea) with hours of rainforest ambiences in high quality recordings (on a Nagra recorder). To their amazement, birds and keyboards, flutes and crickets, saxophones and frogs, war drums and (very vintage) drum machines had much in common in terms of pitch, rhythms, effects (i.e. crickets and fast flanged synthesizer). 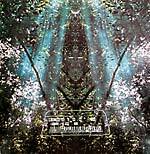 Ariel decided to blend his new compositions with the rainforest atmosphere, and thus Osmose was created.